Achieving tangible impacts on policy and practice is not easy. But it’s made even harder by starting with a pessimistic outlook. Much of the academic discourse around the interface of science, policy, and practice has become dominated by negative language such as the science-policy “gap”, or “challenges” and “barriers” that must be overcome. Chris Cvitanovic makes the case for a shift in the academic study of science-policy-practice interfaces towards the documentation and discussion of “bright spots” – those instances where science has successfully influenced policy and/or practice. Doing so will help to establish a new mantra of optimism, one that inspires hope and empowers scientists and decision-makers to continue to strive for new ways of working together and having an impact. Over the past few years I’ve been incredibly fortunate to be invited to speak at a range of events all over the world focused on helping early-career researchers (ECRs) understand how to more effectively engage with, and influence, policy and practice. At these events I’ve met amazingly passionate people who are driven by a desire for achieving real-world and tangible impacts from their scientific endeavours. I have been inspired by the incredibly innovative approaches ECRs have developed and used to engage more effectively with policy and practice within their specific contexts. Most of all, I’ve been motivated and encouraged by the ways in which ECRs have challenged, and started to change, the outdated academic reward culture that prioritises publications and citations over engagement and “impact”. Recently, however, I’ve heard more and more ECRs talk about the challenges they’ve faced while trying to engage with policy and practice, and how this has left them feeling disempowered and reluctant to stick with it. Other ECRs have told stories of how they are too afraid to start trying to engage with policy and practice because of the negative experiences of colleagues, or the challenges they have read about in the academic literature. As I’ve reflected on this, my own research, and the field more broadly, I’ve come to realise that, somewhat unintentionally, much of the academic and public discourse surrounding the interface of environmental science, policy, and practice has become entrenched in the language of the “science-policy gap”. Of course, achieving tangible impacts on policy and practice is not easy. But it’s made even harder by starting with a pessimistic outlook. For example, the dominance of negative terminology such as “gap” can increase anxiety in scientists (and particularly early-career scientists) seeking to influence policy or practice, discouraging them from even trying. Similarly, the use of the term “gap” validates the misleading and outdated notion that scientists and decision-makers are distinct groups of individuals divided by a range of insurmountable cultural and epistemological differences, rather than recognising their interdependency and shared values in the pursuit of a common goal. In a recent article for Nature Communications, a colleague and I put forward the case that a shift in the academic study of science-policy-practice interfaces is needed, towards the study of “bright spots” – instances where science has successfully influenced policy and/or practice. We suggest doing so will help to establish a new mantra of optimism, conferring a range of benefits to both individuals and teams, and improving the chances of future success. The benefits associated with optimism – defined as the generalised positive expectancy that one will experience good outcomes – are not new. Indeed, they have been explored extensively across different disciplines and sectors. Here, I draw out some of the key lessons and insights to illustrate a few ways in which a more optimistic outlook may support a more effective relationship between science, policy, and practice. Individual wellbeing during times of stress: an extensive body of literature from psychology has shown that individuals with an optimistic outlook routinely maintain higher levels of psychological wellbeing during times of stress than those who are less optimistic. As a result these individuals are more likely to accept the reality of stressful and challenging situations, take direct action to overcome adversity, and attain their goals. Therefore on an individual level a sense of optimism can inspire action, help individuals to navigate and cope with challenging situations, and increase their likelihood of achieving impacts on policy and practice. Enhanced teamwork and collaboration: optimism has been shown to underpin effective team coordination and collaboration, by encouraging the full engagement of teammates in interactions, knowledge sharing, and cooperation. As a result, optimism among teams also works to minimise potential sources of conflict that may arise. In light of the growing evidence in the environmental sector for the need for closer collaboration among scientists (across disciplinary boundaries) and decision-makers (e.g. via participatory research techniques), the establishment of a more optimistic outlook may be a critical factor underpinning the success of such collaborations. Improved creativity and innovation: optimism is closely related to creativity, which underpins innovation and problem-solving. Innovation may be particularly important for improving the relationships between science, policy, and practice given that many of the barriers identified at this interface are deeply entrenched within our existing academic and decision-making institutions and cultures. Further, innovation is considered critical for the development of transformative solutions to many modern-day environmental challenges (e.g. those associated with climate change). One way to achieve a more optimistic outlook is via the systematic documentation of bright spots; instances where science has successfully influenced policy and/or practice. Indeed, based on my experiences working across government and academia for more than a decade, I’ve learnt that these bright spots are common and widespread, though seldom documented or discussed. Rather, much of the academic study of science-policy-practice interfaces (including my own research) has focused on documenting and understanding situations where science has failed to inform policy or practice, and identifying the barriers preventing the successful integration of these domains. While the study of failures and challenges is an important first step in understanding a challenge, moving beyond the existing mantra to one of hope and empowerment requires a shift towards the study of bright spots. Further, I believe that the study of bright spots can also help to elucidate new ways of successfully linking science to policy and practice. As outliers, bright spots naturally deviate from expectations and can provide novel insights for responding to complex challenges. For example, in our paper my colleague and I reflect on our experiences working within several science-policy-practice bright spots and identify the key principles that underpinned their success. These are summarised in the figure below and, while based on our subjective experiences, highlight how the study of bright spots can help us to identify new pathways for achieving impacts on policy and practice. 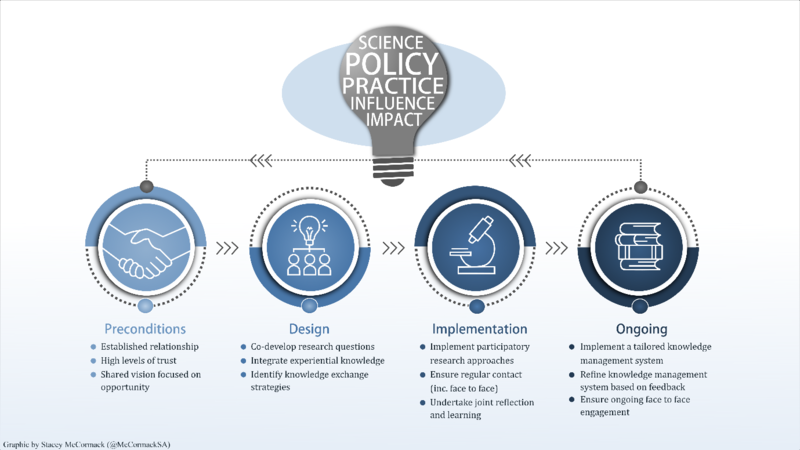 Figure 1: Key principles underpinning success across science-policy-practice bright spots. These guidelines are based on the experiences working within several bright spots detailed in the author’s co-written paper, in which this figure first appeared: “Building optimism at the environmental science-policy-practice interface through the study of bright spots”, published in Nature Communications. Originally created by Stacey McCormack (@McCormackSA) – click to enlarge. Increasing the influence and impact of science on policy and practice necessitates moving beyond the ongoing diagnosis of challenges and barriers, towards the systematic study of bright spots. This will help to identify the key principles underpinning success, and allow for the development of more effective strategies for successfully navigating the interface of science, policy, and practice. Even more importantly, the study of bright spots will be essential for moving towards a new mantra of optimism – one that inspires hope and empowers scientists and decision-makers to continue to strive for new ways of working together for a sustainable future. This blog post is based on the author’s co-written article, “Building optimism at the environmental science-policy-practice interface through the study of bright spots”, published in Nature Communications (DOI: 10.1038/s41467-018-05977-w). Featured image credit: George Hiles, licensed under a CC0 1.0 license. Chris Cvitanovic is a Research Scientist and Knowledge Broker at CSIRO, Australia, specialising in knowledge exchange, stakeholder engagement, and the governance of marine resources. In doing so Chris draws on almost ten years of experience working at the interface of science and policy for the Australian Government Department of Environment. Find Chris on Twitter @ChrisCvitanovic or get in touch via email at Christopher.cvitanovic@csiro.au.